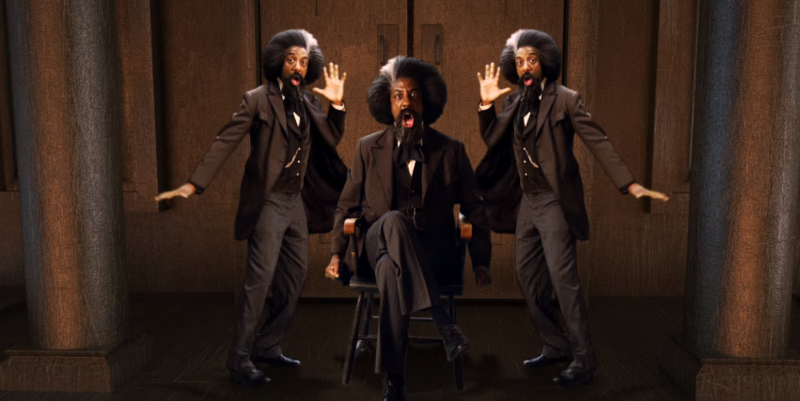 In their latest rap battle, the ERB team sat down founding father Thomas Jefferson (played by Nice Peter) and legendary abolitionist Frederick Douglass (played by guest star JB Smoove) for a part-rap battle, part-political discussion over the topic of American slavery. Nice Peter described in the BTS that he had always wanted to use Frederick Douglass in an Epic Rap Battle, and that things all came together when JB Smoove expressed a desire to play the historical icon at an awards show. 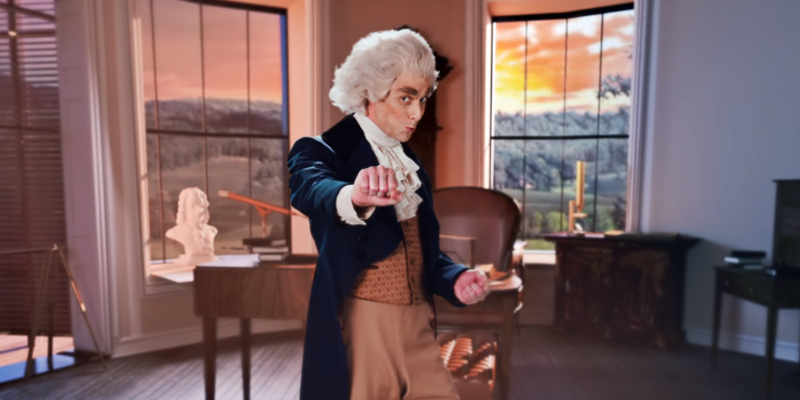 Thomas Jefferson was chosen as an opponent likely due to ERB's desire to pick two characters who "would have beef" if they were to meet in real life, and ERB really chooses to explore that dynamic of the show in the second half of the battle.